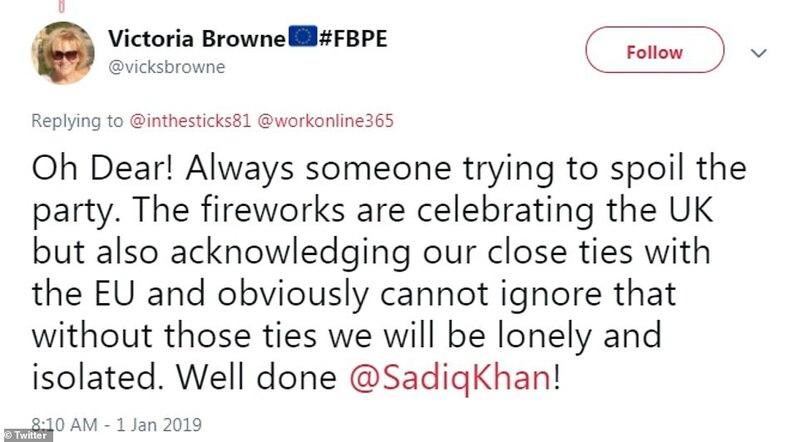 Brexiteers have slammed Sadiq Khan's 'disgraceful' pro-European Union fireworks display that lit up London's New Year's Eve celebrations last night - but the mayor has stood by his actions. 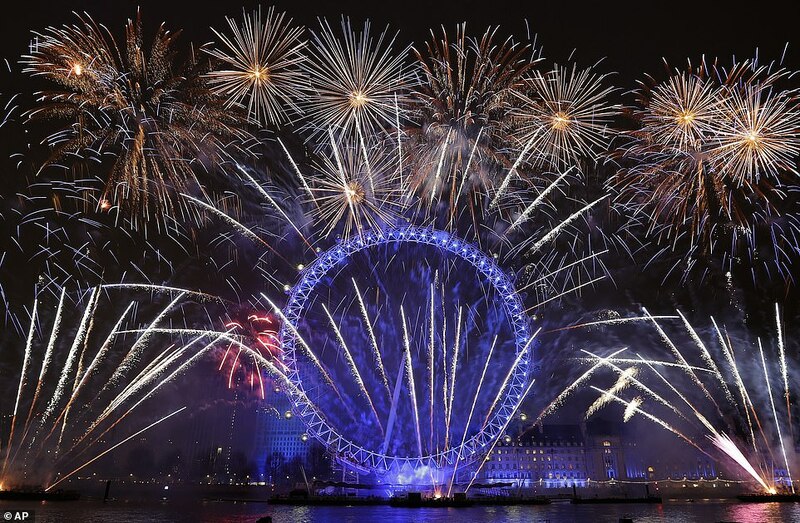 Mr Khan defended his decision to light up the London Eye to resemble the EU flag last night despite coming under heavy criticism. 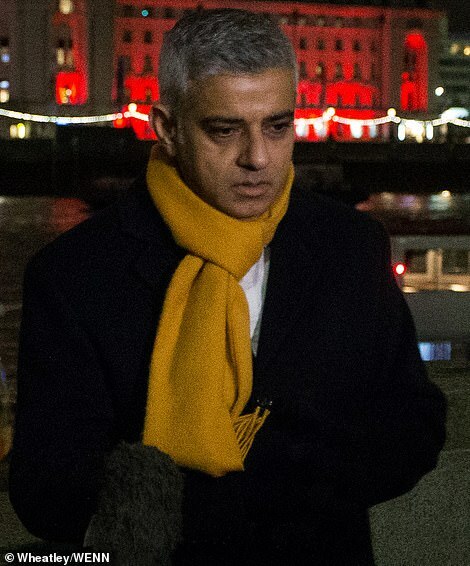 Conservative MP Andrew Bridgen accused Mr Khan of a 'betrayal of democracy' after the Remainer mayor bathed the London Eye in the blue of the bloc's flag, lighting up its carriages in a yellow reminiscent of its stars. 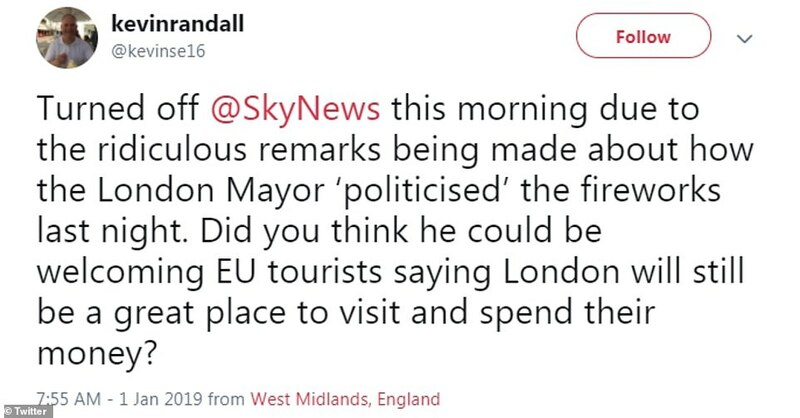 Mr Khan was accused of 'absolute disrespect' and of shoving his political views in the faces of the 17.4million voters who chose to leave in the 2016 Referendum as people vented their fury on social media. 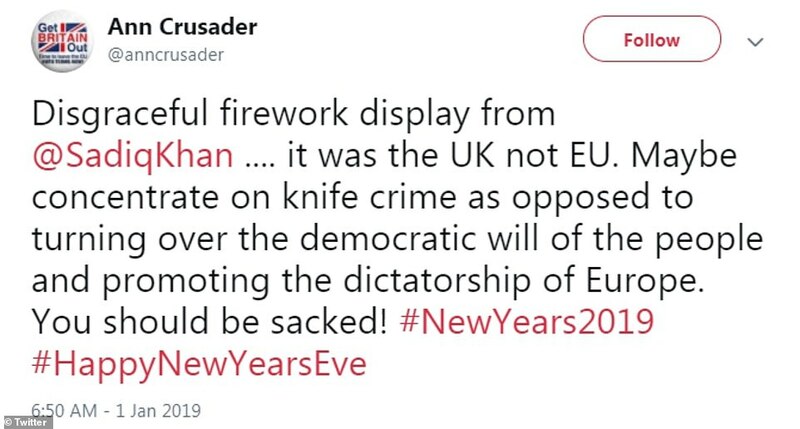 Former Member of the European Parliament Roger Helmer criticised the fireworks display, comparing the decision to push a pro-EU message during Brexit talks with flying an Argentinian flag during the Falklands War. 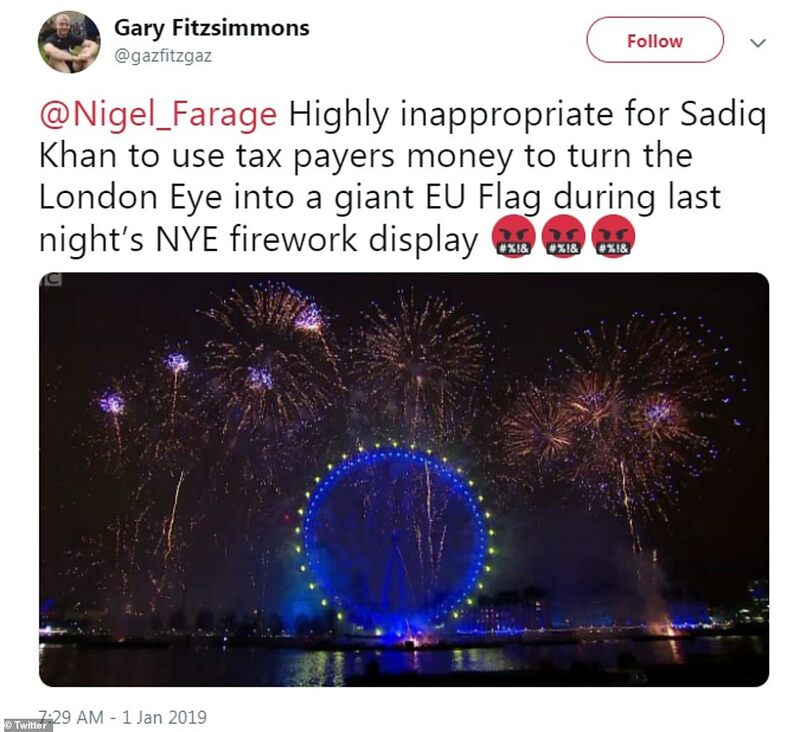 Twitter user Kevin William Hayes branded the Labour politician a 'd***' and said the mayor was being 'crass' as Gary Fitzsimmons said it was 'highly inappropriate for Sadiq Khan to use tax payers' money to turn the Lonodn Eye into a giant EU flag'. 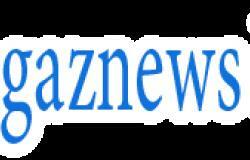 But some backed the move, with some pointing that the capital itself voted overwhelmingly to remain in the bloc. Victoria Browne congratulated Mr Khan for 'celebrating the UK but also acknowledging our close ties with the EU' ahead of Britain's exit. 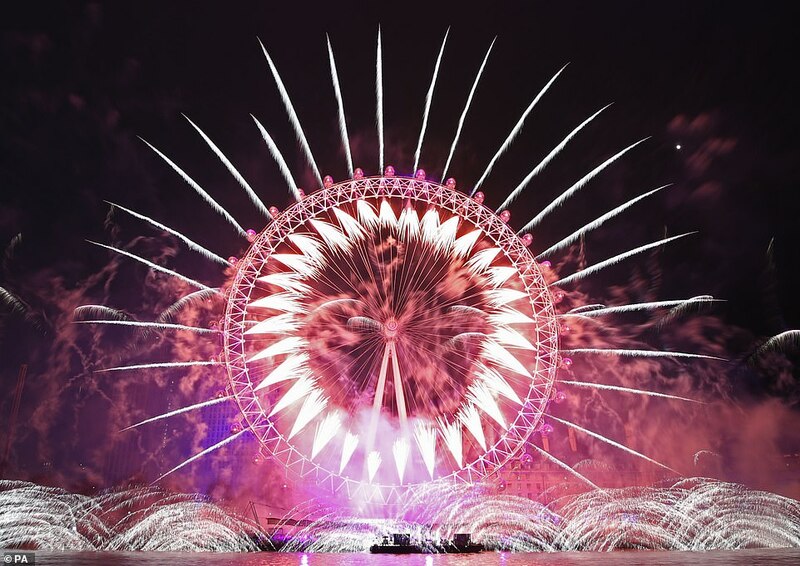 The words 'London is open' rang in the new year as the capital welcomed 2019 with a dazzling riverside fireworks display. 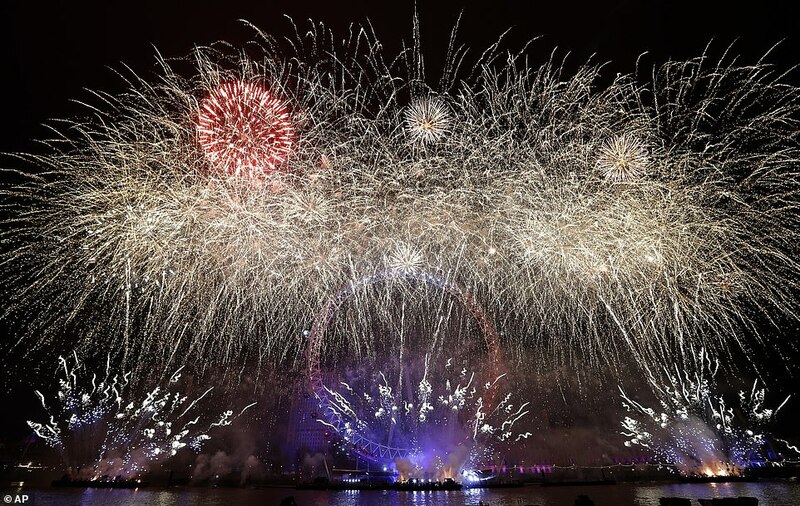 Mayor of London Sadiq Khan said the sold-out display would show Europe that the capital will remain 'open-minded' and 'outward looking' post-Brexit. He said Westminster politicians had given the world the impression that Britain is 'insular, inward looking', as Britain begins the new year countdown to Brexit. 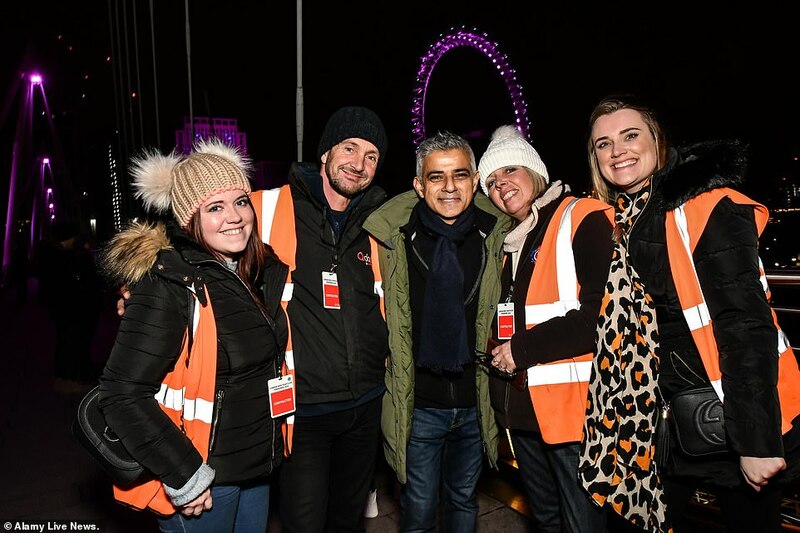 Mr Khan said he hoped this year's event would 'send a message of support' to the more than one million European citizens for whom London is home. 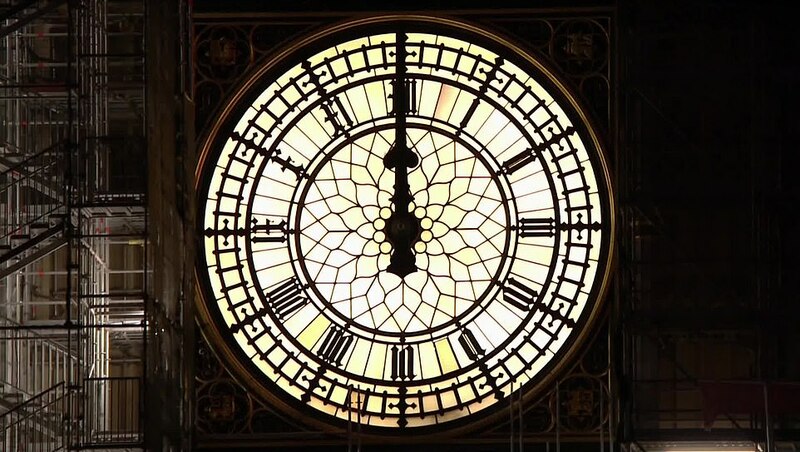 'One of the things which upset many, many Londoners and many people across our country and in Europe is the tone and language used by politicians in Westminster, giving the impression we're insular, inward looking, not welcoming to Europeans,' he said. 'I think the Government's made a mess of negotiations with the European Union.